A federal window replacement program can defray the cost of installation of energy-efficient windows, and there are three of them: the High Energy Cost Grant Program, the Rural Energy for America Program Grants, both run by the U.S. Department of Agriculture, and the Tribal Energy Program, run by the U.S. Department of Energy. The first two are mainly for businesses, nonprofits and state and local governments. These opportunities differ in terms of eligibility, funding levels and other specifications. 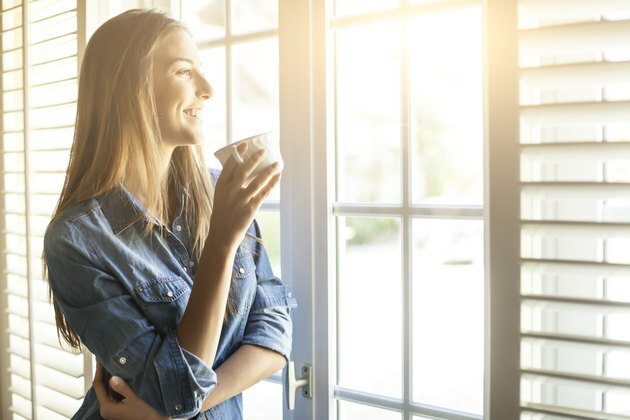 In addition to federal grants, your best options for window replacement grants to cover the cost of new energy efficient windows are state, nonprofit and utility grants available for window replacement. The U.S. Department of Agriculture operates the High Energy Cost Grant Program, which is designed to promote energy efficiency and renewable energy development in rural communities. Commercial entities, residential units, nonprofit agencies and local, state and tribal governments are eligible to receive funding. Applicants must also reside in an area where energy costs are at least 275 percent above the national average. Additionally, successful applicants must demonstrate how their projects will benefit the entire community, so in the case of gaining government money for replacement windows, a local government that will save taxpayer money will probably make a stronger case for funding than a small business. Rural Energy for America Program Grants, also run by the USDA, encourage energy efficiency and renewable energy development, primarily among small rural businesses and agricultural producers. Schools, agricultural, commercial and public power entities and local, state and tribal governments are eligible to apply. The amount awarded to each project varies, however, the maximum award is 25 percent of the project cost. You can apply for loans for the other 75 percent of the cost. Tthe U.S. Department of Energy offers Tribal Energy Program Grants to tribal governments seeking to increase their energy efficiency or develop renewable energy sources. Only tribal governments may apply, and in addition to energy-related goals, projects must foster economic development and employment on tribal lands. The program funds a variety of projects, including window replacement, so the amount of funding varies on a case-by-case basis. In addition to funding, the DOE provides training, education and technical assistance throughout the lifespan of the project. In addition to federal grants, some states, utility companies and nonprofit agencies offer funding opportunities for window replacement. Additional grants for energy efficiency or renewable energy are available in 25 states, according to the Database of State Incentives for Renewables & Efficiency, however, window replacement will not qualify for all of these. To explore additional funding opportunities, go to the DSIRE's Financial Incentives for Energy Efficiency table, navigate to your state's "Grants" column and examine the available state, nonprofit and utility grant opportunities available.